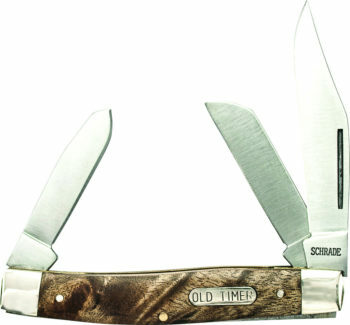 The Old Timer Lockback Gift Set by Schrade Cutlery features a 3Cr13 stainless steel blade with a sawcut OT handle. 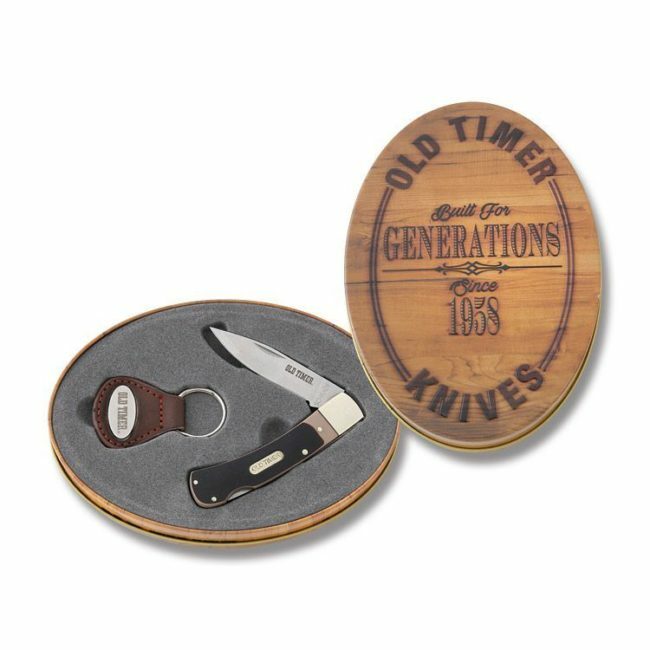 This gift set includes an Old Timer key ring with a leather fob packaged in a custom tin. 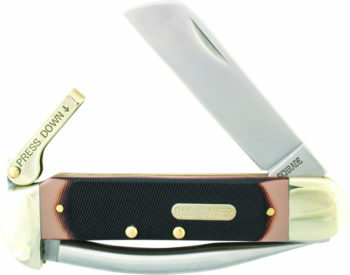 3Cr13 stainless steel blade. 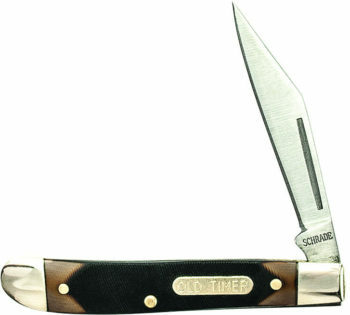 Sawcut OT handle. Nickel silver bolsters, shield, pins and liners. 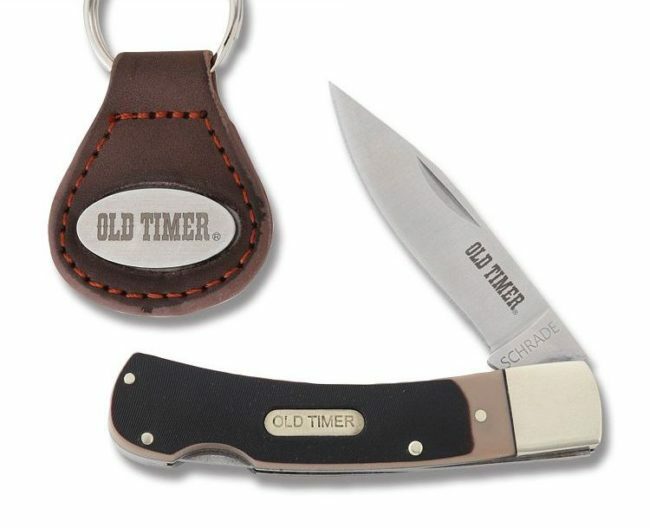 Includes “OLD TIMER” key ring with leather fob. Blade thickness: 1/16″. 3-3/4″ closed. Packaged in a custom tin.